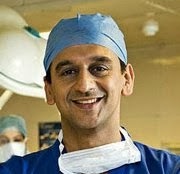 Another Reason for Weight Loss Surgery- Slows Your Ageing! Weight Loss Surgery slows ageing?What is comes to your mind when you think of undergoing weight loss surgery? Naturally, you think of getting the surgery done for losing weight. However, it has been found that bariatric surgery does much more than just helping you shed those extra pounds and reduce the risk of diabetes and cardiovascular problems, the surgery has shown to slows down the aging process in many! Recent studies in Bariatric surgery A recent study at Stanford University has shown some interesting facts showing obesity surgery affecting the aging mechanism in human cells. The study shows that weight loss resulting from obesity surgery may have done changes in the patients’ genetic functioning which may have slowed down the aging process in them.